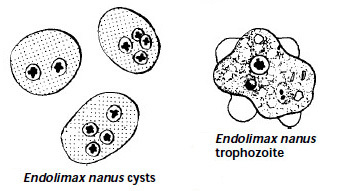 Endolimax nana is a small non-pathogenic amoeba with world wide distribution. 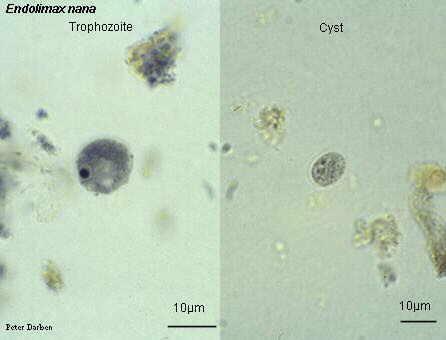 Its life cycle is similar to that of E. histolytica but is non-invasive. 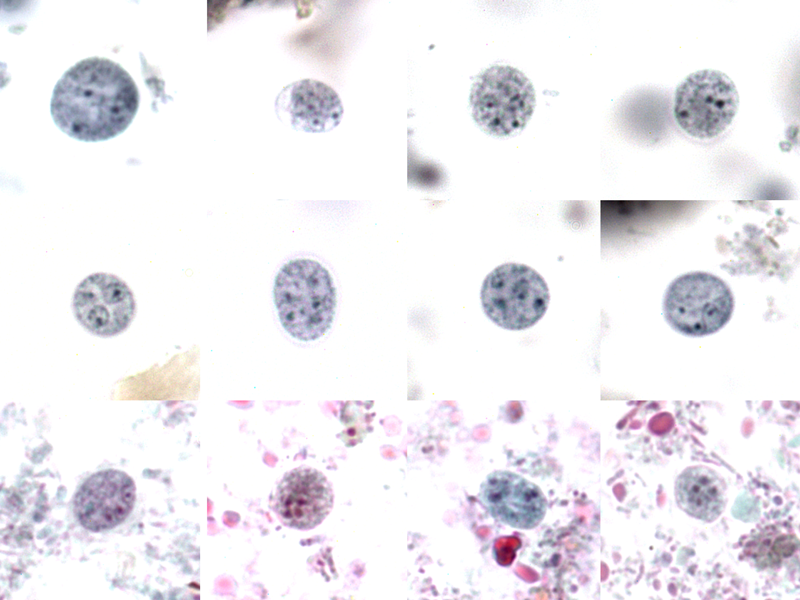 Trophozoites of E. nana measures from 6-12μm. Motility is sluggish with blunt hyalin pseudopodia. In a permanently stained preparation, the nucleus exhibits a large karyosome with no peripheral chromatin on the nuclear membrane. 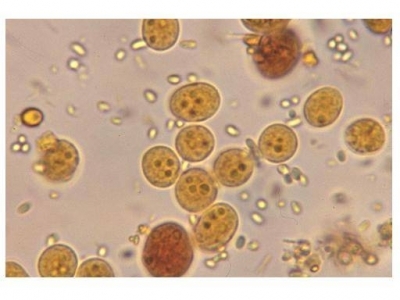 Cysts of E. nana are 6-9μm in diameter. They can be spherical or ovoid in shape and contain four pinpoint nuclei, which are highlighted by the addition of iodine. Chromatoid bodies are not found and glycogen is diffuse. 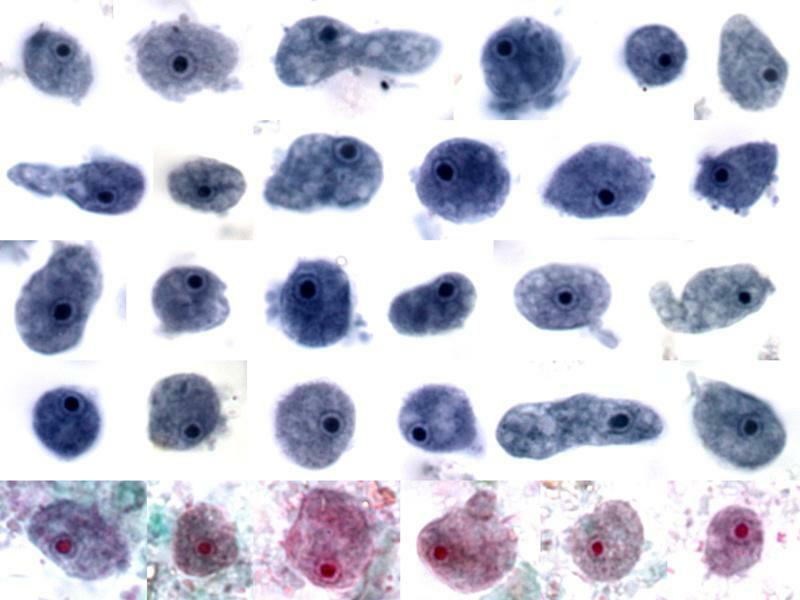 Laboratory diagnosis is made by finding the characteristic cysts in an iodine stained, formolether concentration method or by detecting the characteristic trophozoites in a wet preparation or a permanent stained preparation. Where amebic dysentery is suspected, the laboratory should be informed that a “hot stool” is being supplied so that it can be examined within twenty minutes of being passed. On cooling the ameba stop moving which then become very difficult to identify. Direct microscopy should be done by mixing a small amount of the specimen in 0.9% sodium chloride solution. 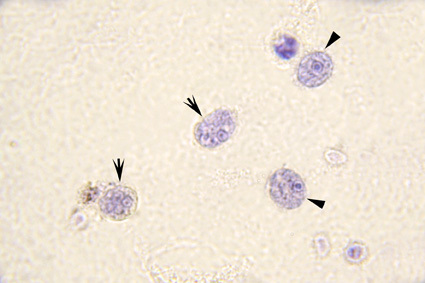 This permits detection of motile trophozoites of Endolimax nana and can also provide information on the content of the stool (i.e., the presence of leucocytes and red blood cells). On search e.g. 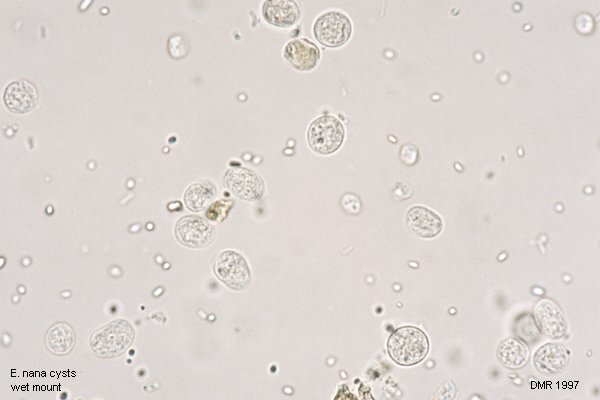 primarily for cysts, not for ameba, several stool samples are required to be examined, by direct microscopy and a sensitive concentration technique. Three negative stool samples are required before it can be accepted that there is no amebic infection. Microscopic examination of an amebic abscess aspirate (e.g. in the liver or lungs), may reveal hematophagous trophozoites. It must be examined immediately by mixing a drop of warm saline with some aspirated pus on a microscope slide.